Rhonda Mayo wants you to think of her as an event planner, not a promoter. "I think it puts you in a box," she says. "Being an event planner/marketing consultant is more general and leaves you open to offer more services." 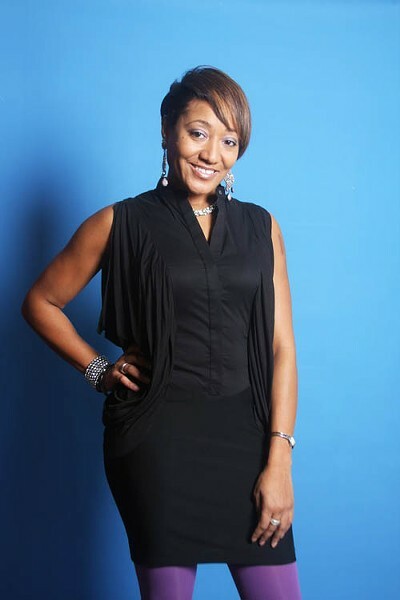 And with her company Talk of the Town, which she has co-owned with Tonya Inabinett for four years, she offers plenty, from hosting a variety of events, like day parties during CIAA, to marketing small businesses to organizing an annual trip to the Essence Music Festival. Creative Loafing: Do you find it hard to keep your day job and your work with Talk of the Town separate? Rhonda Mayo: No, I don't do any work during my day job. Of course, during my lunch hour, I'm on my Droid, texting people, e-mailing, Facebooking. At work, I definitely keep that separate. I use the evenings primarily for Talk of the Town. You get used to not sleeping much. Has there been an event you've done with Talk of the Town that stands out to you? Our CIAA events are always a lot of fun. We get hundreds and hundreds of people coming to our events from all over the country. We start off doing the day parties for CIAA, and that to me is the most fun. We typically get a venue where people can eat and drink. I think that's what really got our name out, the day parties, from a national/regional perspective. How has social networking and text message blasts affected your business? Anytime you have some kind of free social networking, it's going to affect it in some ways. I think it's helped because we have a large group on Facebook, where we let people know about our events as well as other events that are going on. I think we were one of the first ones to start doing the texting because we started a service about two years ago. We were using a texting service and all of a sudden we were seeing everybody doing it, which is cool. What's your focus on right now? I'm helping my sorority out with a holiday gala, the Delta Sigma Theta Sorority, Inc. We have the Legacy of Black Film Showcase coming up on Jan. 17, 2011 and we do a lot of the advertising for that, as well as I help with some of the planning. For Talk of the Town specifically, we're focusing on our Essence Music Festival trip, which is next year during the 4th of July weekend. And of course, CIAA. We typically do four to five events around CIAA time, including our signature Thursday night event (March 3, 2011) at Blue Restaurant, called "Heaven at Blue" where we have a live band and DJ.